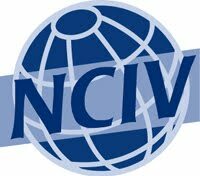 The National Council for International Visitors (NCIV) is a nonprofit membership association currently marking 50 years of leadership in citizen diplomacy. Diane Conroy-LaCivita, Executive Director, International Center of the Capital Region, has been involved with the Girl Scouts of Northeastern New York thanks to a committee that annually chooses “Women of Distinction.” This particular council serves more than 14,500 girls in sixteen counties in upstate New York and the award has been a part of the Girl Scouts program since the mid-1980s, recognizing community leaders and showing girls the importance of giving back to their communities. "I have found our Girl Scout Council to be a wonderful resource when creating itineraries for the U.S. Department of State’s International Visitor Leadership Program," writes Diane Conroy-LaCivita, on the NCIV website. "For example, a multi-regional group of women, who were here under the project title of Women Entrepreneurship and Small Business Development, spent a portion of a day at my local council analyzing Girl Scout cookie sales. With assistance from many in the council, including several women from administration and troop leaders, we studied cookie sales through marketing, promotion, and profit and loss analysis. The group looked at each scout as if she was her own small business. Keep in mind, Girl Scouts have been selling cookies since 1917 to raise funds. The girls who participate can earn prizes for their efforts and there are also unit incentives if the unit as a whole does well. As of 2007, sales were estimated at about 200 million boxes per year. Not bad when boxes sell for approximately $4 per box. Individual troops make about 35¢ per box sold."